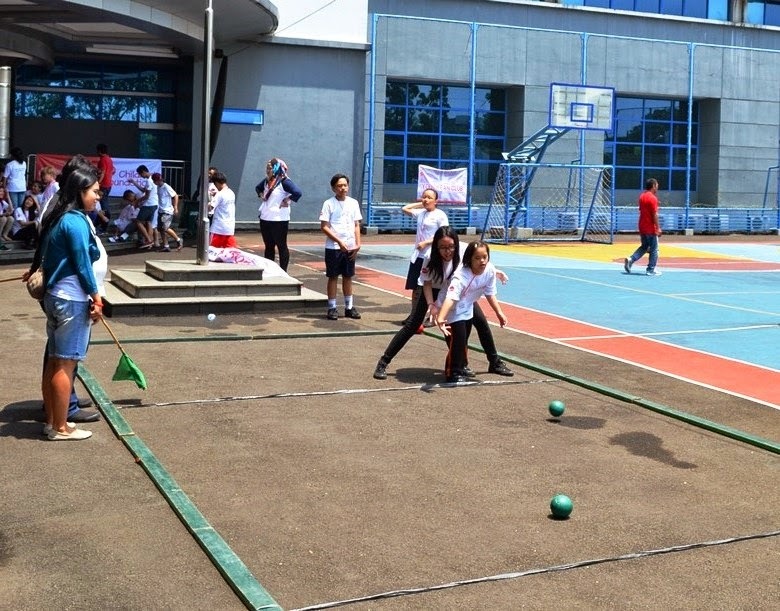 Special Olympics Indonesia (SOIna) joined the world in celebrating the first ever International Day of Sport for Development and Peace (IDSDP) in a fun way. 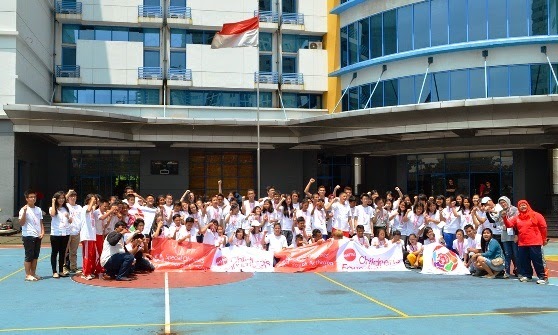 SOIna invited students from some Junior High Schools to join the Youth Activation Summit and also the celebration of the International Day of Sport for Development and Peace. Last August, the United Nations General Assembly has declared 6 April as the International Day of Sport for Development and Peace. Celebrated a day earlier, on the fifth April, all the participants gathered in the Velodrom, Rawamangun, where SOIna usually has their weekly activity on Saturday morning. The athletes from SOIna are students with intellectual disabilities. During the celebration, each athlete has their own partner from the invited schools. The partner’s duty is to work together with the athlete in doing their activity during the day. The partner is also to help the athlete when needed in composing creative ideas and design. In the celebration day, some partners were also encouraging the athletes to come out of their comfort zone, to try other type of sports out of their expertise. Friends from SOIna had previously visited most of the invited schools to introduce the organization and the activities in SOIna. They also came for the R-word campaign, which is to “Spread the word respect to end the word retard.” Most of the participants that day already knew some of the athletes who visited their school. Kemal, the athlete from SOIna, and his partner Farhan are the most known figure as they were the representatives of Indonesia in 2013 Special Olympics World Winter Games in South Korea. Stephanie Handojo, who was chosen to be one of the torchbearers in the Torch Relay for the 2012 London Summer Olympic Games, seemed confident and smiled a lot as people called her name. Students enjoy meeting their new friends. After being introduced to their partners, the participants started the day with a quick breakfast in Mc. Donalds. Participants were also going around introducing the activity of SOIna by giving out pins to the visitors of the mall. Then, all the participants went to Jubilee School, where the activities were hosted. After the opening speech and some short presentations on a year activity of SOIna, the students were asked to start the day by giving ideas for future programs, and then continued with sportive activities. After lunch, the participants were asked to develop their creative ideas in presenting the IDSDP in posters and showing the spirit of the Youth Activation Summit in creating their own creation on a ball. Being young, being free spirited, all those youngsters were not seen tired after all the sportive and creative activities. Smiles were shown on their faces. It seemed hard to say good bye. The seed of friendship was planted. There are still miles to go in developing it. Yet, memory of happiness lasted longer to foster it.